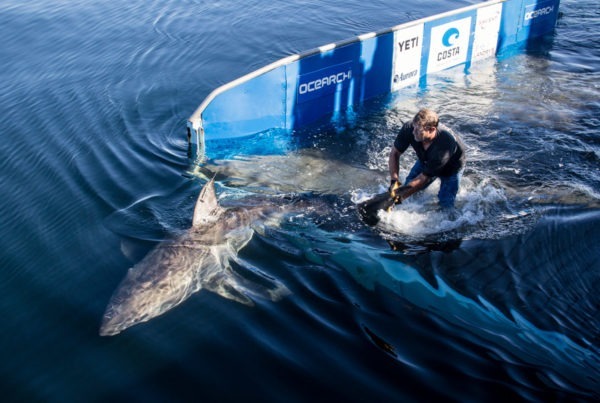 Many have noticed that there are some new tiger sharks pinging on the OCEARCH Tracker off the coasts of Australia and South Africa. The sharks now pinging up a storm for everyone to follow were tagged by dedicated researchers at the Biopixel Oceans Foundation whose exciting work could result in several more being added in 2019. 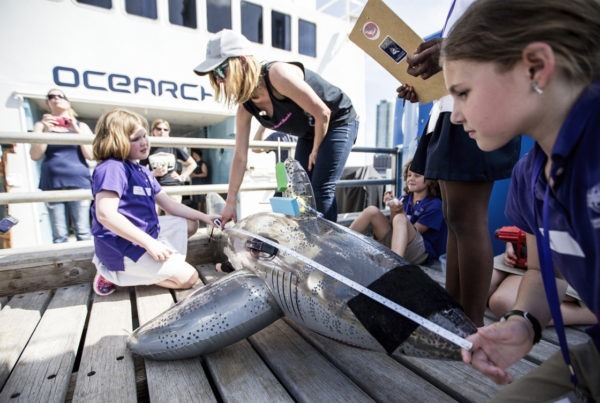 For a decade the Biopixel Oceans Foundation team has been tracking shark movements in Australia and South Africa and over the years have tagged more than 60 tiger sharks so far. One of the researchers, Dr. Adam Barnett from James Cook University, was OCEARCH’s lead scientist during our Eastern Australia Expedition. The Connectivity of widely distributed shark species such as tiger sharks on the east coast of Australia and south-east Africa. Now Biopixel Oceans Foundation has been awarded $250,000 by the Australian government to help better understand shark behavior in the Whitsundays area in north Queensland. This tourist destination is the site of four recent shark bites. The government’s contribution to Biopixel Oceans Foundation is part of a plan to improve safety and tourism in the area. Biopixel Oceans Foundation generously matched the government’s funding with their own money in order to boost expeditions to be carried out in 2019, and to complement the acoustic tracking methods requested by the government with satellite tracking to gather the data needed to answer the questions they are after. 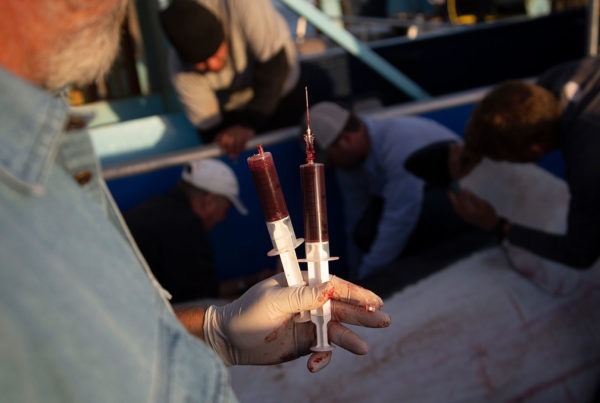 Biopixel Oceans Foundation has already carried out one tagging expedition and hope to finish at least another two (possibly four) by the end of the year. 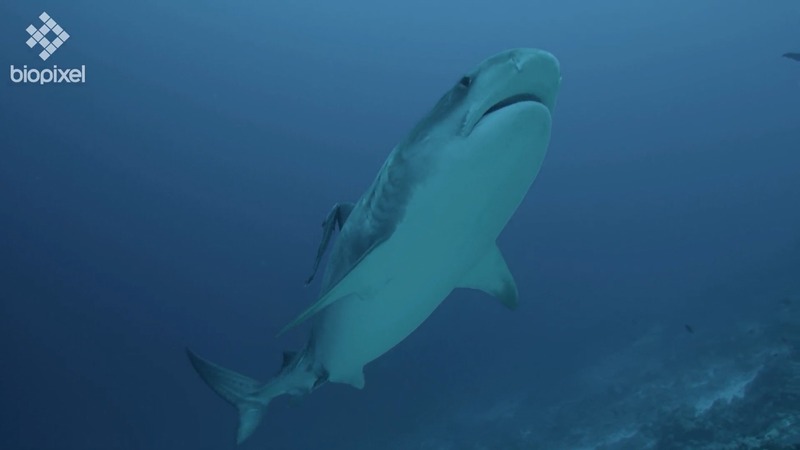 Biopixel’s work is not only focused in Australia as they are simultaneously working to track tiger sharks off the coast of South Africa. They hope to answer many of the same questions they are focused on in Australia and several of the sharks they have tagged so far are also up and pinging on the OCEARCH Tracker.